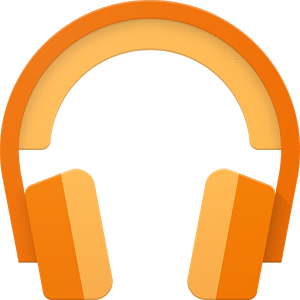 If you've been wondering of late why exactly your cached and stored-for-offline-playback music in the Google Play Music app is disappearing every time you turn your phone off or reboot it, good news: Google knows that (now). And if you are experiencing that problem, I bet I can guess a feature of your smartphone: it has a microSD slot. And you probably have microSD storage enabled in the Play Music app. We heard from one reader who actually talked with Google Play support about this bug and initially got an extremely unsettling answer. Fortunately, that answer turned out to be wrong. For the sake of not confusing anyone by putting the full wrong statement in the post, allow me to summarize. A Google Play rep told this person that Play Music deleting cached or downloaded music on the microSD card every time it was unmounted or "unplugged" from the phone was a copyright protection feature. (Note: even the first part wasn't right - it also did it if the phone was rebooted or powered off). This person, most likely, then received a supervisorial scolding, because a second reply from Google Play made it obvious the issue was escalated, and the new rep made it clear this behavior is a bug. The reply is lengthy, so if you just want a summary, read on. I want to first apologize for the information we provided to you about the issue with subscription tracks being deleted from the SD card. After reviewing your case details, it looks like the previous agent you spoke with misunderstood the issue that you're reporting. We have taken immediate actions to address this which should prevent a situation like this from happening in the future. Again, I deeply apologize for not accurately understanding the issue you were experiencing and for not providing you with the correct information on the issue. I'd like to first explain how music is stored for offline listening. Music files that are downloaded to a device (phone or tablet) are only downloading a cached version of song's file, not the actual .mp3 file. This is done to help minimize the amount of space that the downloaded music takes up. This is also implemented to curb abuse of the subscription service as the download music is only accessible through the Google Play Music app for that device and account. This means that a user wouldn't be able to download music to an SD card and then take that SD card and use it on a different device as the music is chased to that device and account. Essentially, Google Play Music shouldn't ever erase music from the microSD card unless you explicitly tell it to. That it does this is not an intended behavior and has nothing directly to do with copyright, although it does indirectly have a relationship there - more on that in a second. But the short version is if you're experiencing this problem, Google is working on addressing it, (and it sounds like that's probably mostly because our tipster, Michael, reported it to them). This statement does have some technical issues, though. Namely, the rep claims that offline-stored songs from All Access (this is important - versus music in your library) aren't kept as MP3 files when they're selected for downloading. Except he's wrong, because they are - they're just stored in a protected private folder (as a sort of basic DRM) where only Play Music should be allowed to play them (funnily enough, on Samsung devices the stock music player app also seems to be able to play them, though the metadata is stripped and the titles obscured). For songs in your library, there's no protection at all - you have access to those files on the external SD card and, so far as I can tell, they don't get wiped with a reboot or even unmounting the SD card. It's just the All Access stuff that seems affected. Anyway, the takeaway here is that Google is aware that some cached and offline music is disappearing for no reason if you use the external SD card storage in the app, and that they're looking into fixing it. Google has not replied to a request for comment on this story.